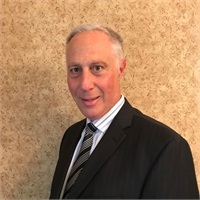 Anthony Grassi, Jr. is the co-founder of Biagini Grassi Advisory Group LLC and a financial advisor with more than two decades of experience. As a financial advisor specializing in wealth management and working with individuals and families in all financial stages of life, Anthony’s goal is to help clients pursue financial independence and feel confident in their future. Early in his career, Anthony worked in the restaurant industry for a number of years. After working with a financial advisor, he was inspired to pursue a career in finance and help individuals just like him create a financial roadmap for the future. Prior to co-founding his firm with Mark V. Biagini, he worked as a financial advisor with American Express Financial Advisors for nearly a decade. Anthony holds securities licenses 7, 63, and 65, and is a Certified Wealth Strategist® and Certified Wealth Preservation Planner. He received his Bachelor of Science in Business Management from Saint Francis College. Outside of the office, Anthony and his wife frequently travel to attend their teenage daughter’s soccer games. He also enjoys baseball, movies, and music.